Let us take care of everything. We help you create, send and analyze exquisite newsletters. Your newsletters will look great and we will make sure they get in the inboxes of the subscribers. Let us take care of everything regarding email marketing. We help you create, send and analyze exquisite newsletters. Your newsletters will look great and we will make sure they get in the subscribers’ inboxes. We offer you everything you might need for a successful email marketing campaign. Email marketing is one of the most efficient online promotion methods. What we can do for you: we analyse your business from the perspective of the online presence; we analyse the target group and outline the profile of the potential clients (buyers); we develop a consultancy report that includes communication and socializing strategies with the subscribers, efficient and quick methods of growing the number of subscribers, the style in which an effective newsletters has to be created so that it has instant results (content), technical solutions for the campaigns’ implementation and KPI analysis. 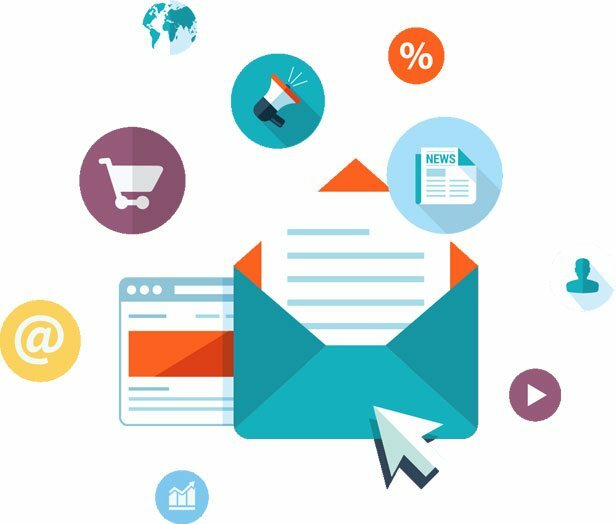 A newsletter is basically an electronic letter through which a company presents its news, events, promotions, special offers to a group of subscribers to a certain site, in an accessible format that can be visualized effortlessly. 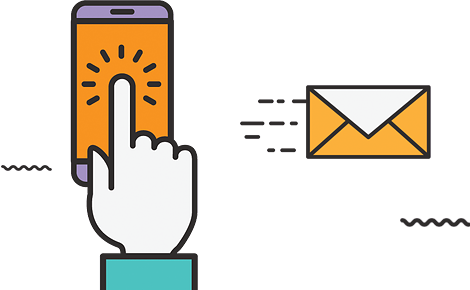 A newsletter has the aspect of a web page, it contains texts and graphic elements (images, banners), is created and sent to the subscribers with the purpose of growing the number of the site’s visitors. The usage of a newsletter that has an appealing design represents a proof of professionalism. Relevant messages are not optional, they are a necessity. Stop worrying about the servers, the configurations and hardware limitations. Our infrastructure is scalable. The email bounce backs (be it soft or hard bounce) are processed and automatically deleted from your list, which means that your list is permanently cleared. You can export a list formed of all the bounced back email addressed and see the details, be it soft or hard. Communication via email brings in most of the cases satisfying results. In time, your conversion rates decrease a little and stabilize, but this is normal, any marketer would think, because this is the life cycle of a product: launching, stabilizing, the boom and decrease. In email marketing, relaunching of a newsletter, for instance, always represents an option, perhaps even a winning one. We track both the opening rate and the click rate from the newsletter and also the subscribers’ loyalty. We help you identify and fix all the errors through processing the bounced back emails and the spam reports. You can create as many lists as you wish and we can help you import them by creating Excel or CSV files. Once the lists are created we can together split up (create sub lists) for a major impact and for a more efficient management of the lists. Our team of developers can become the perfect partner for your business.